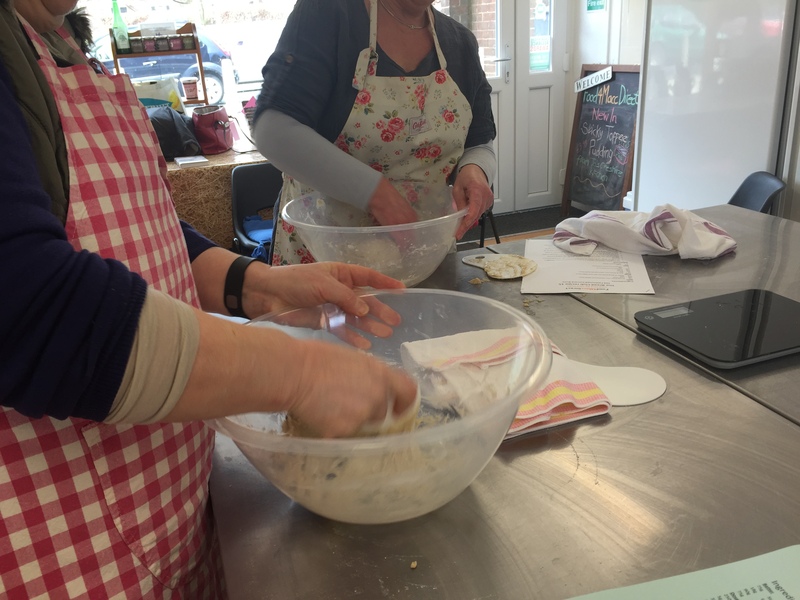 We had a great time at the bread club this morning making hot cross buns using our lovely local stoneground flour from Walk Mill. 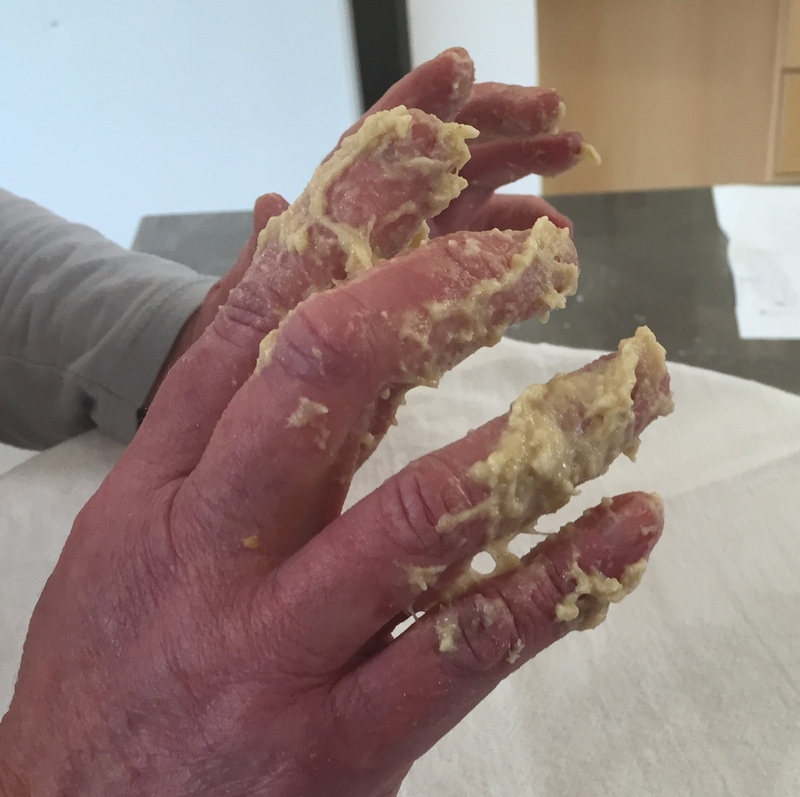 We got very sticky as we mixed the dough. 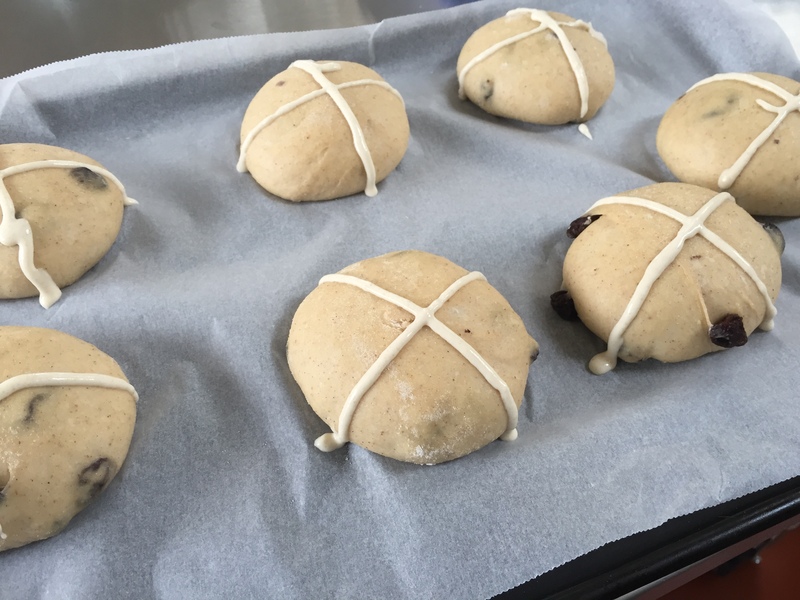 Once the dough had risen we shaped it into buns and left it to rise again before adding the crosses. Then it was into the oven. 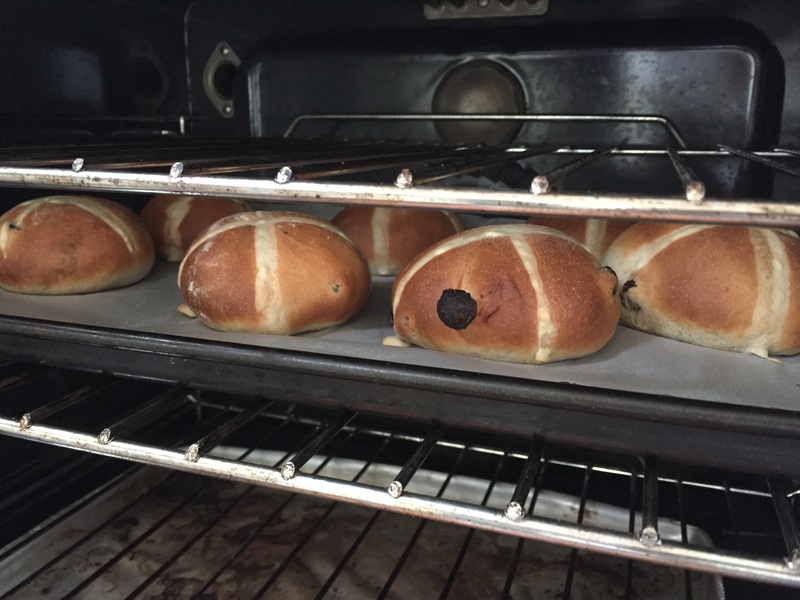 Here are the finished buns, they’re delicious spread with Reaseheath butter! 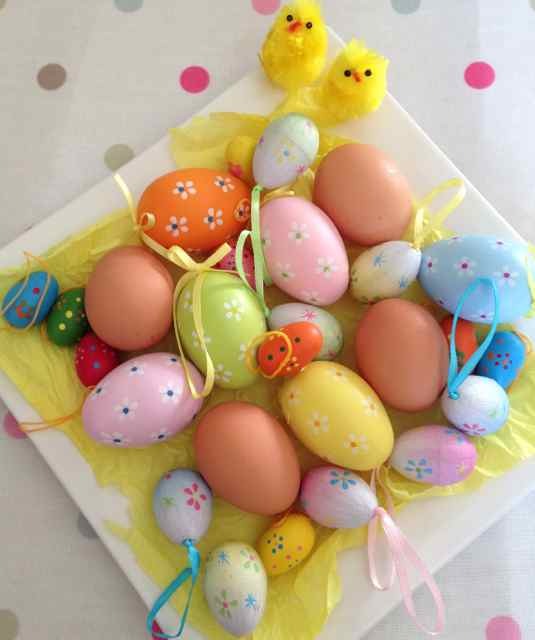 Try a Packington Cockerel for your Easter centerpiece? Delicious either pot-roasted or for a more traditional offering roast with all the trimmings. The meat is tasty and succulent and at £7.30/kg they’re great value too! 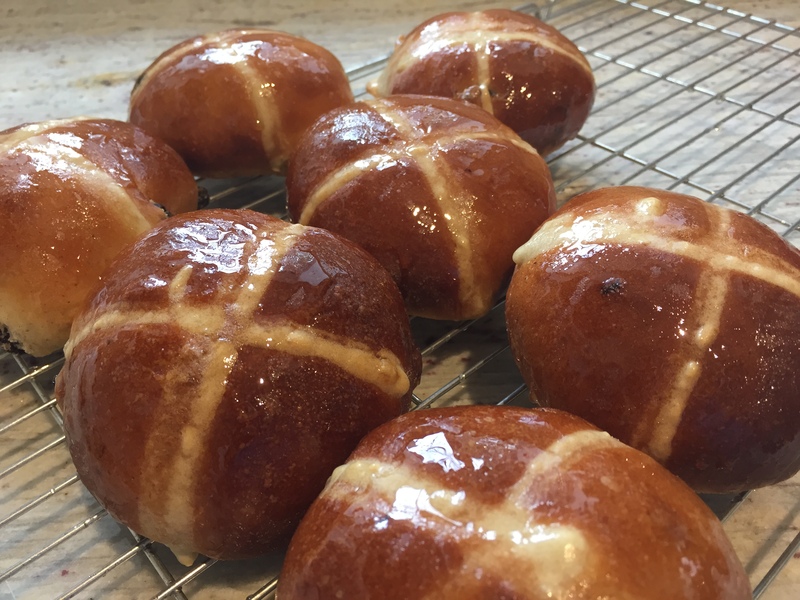 Good Friday just wouldn’t be the same without a toasted Hot Cross Buns from Langley Loaves, dripping with Reaseheath Butter. As for the veg we’ve got that covered too – a small veg bag would be ample for a family of three/four but if you’ve family or friends to cater for just go large. And dessert? We’ve just started stocking the delectable Sticky Toffee Pudding from Jo’s Kitchen – a regular Treacle Market trader. This rich, moist sponge is covered with plenty of sweet & sticky toffee sauce – yum! Topped with vanilla ice cream from Reaseheath or Newton’s Dairy fresh cream the choice is yours! 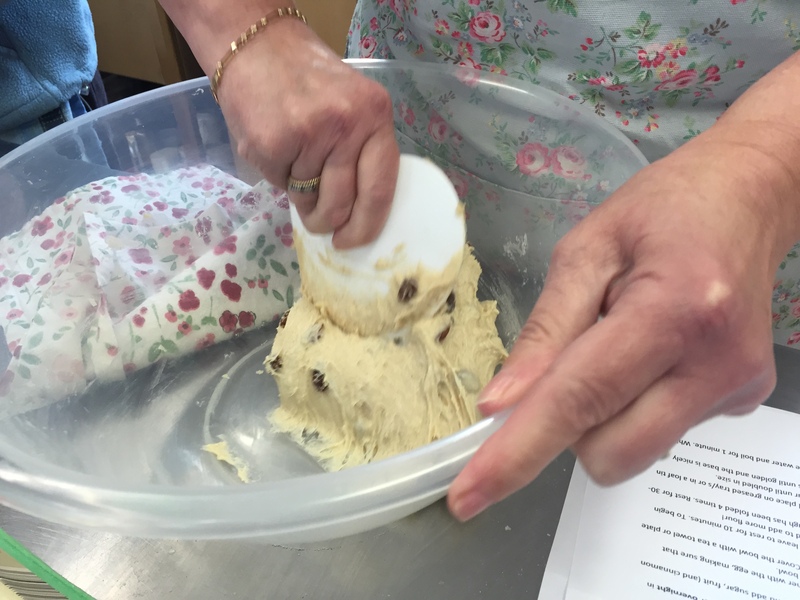 Tags: Easter, Langley Loaves, macclesfield | Permalink.